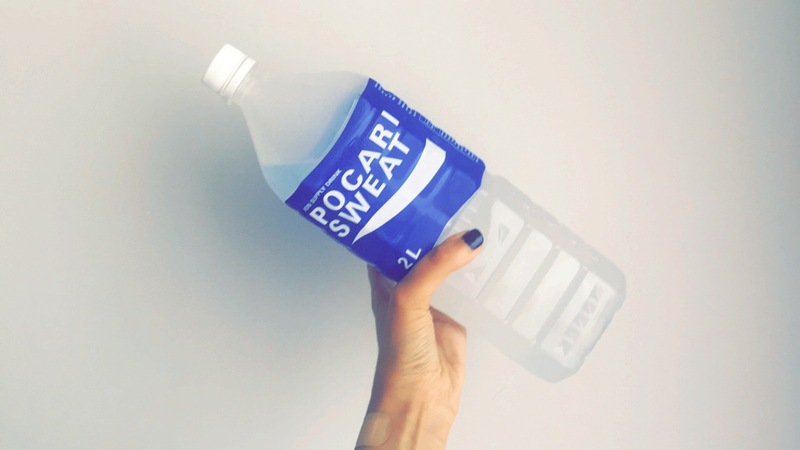 You don’t really need to sweat to need Pocari sweat. For some of us, just living and dealing with a body that is different needs a lot more energy than one could imagine. In some ways, we’re always hiking up mental and emotional mountains, taking on non-existent physical marathons or triathlons and working out ways to manage limitations. Every bit our existence requires tremendous effort to simply not fall apart. If I were to try and put it in other words, living with an illness like HMS/EDS feels like you’re doing a full-time job seven days a week 24 hours a day or babysitting a child (which is nothing but your own body) every minute of your life (okay, you don’t get a proper rest either) Now imagine having to do either + experience debilitating pain. Anyone could do with more isotonic drinks after that. I usually opt for coconut water, Pocari sweat or 100 Plus Edge. Coconut water is always my first choice, unless I just want a change. P.S. Holding up a 2L bottle was a bad bad bad idea. Please do not even try if you’ve got a wobbly wrist because I do and I messed up.